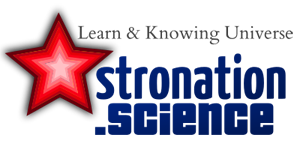 Astronomy Science ~ Currently we have often seen the photograph of Earth from space that looks beautiful. Even the image of the Earth has been taken from many places such as on the Moon, Mars, Saturn orbit, the orbit of Mercury and the Earth farthest image taken by Jupiter. But have you seen the first picture of Earth taken from outer space? Pictured above is the first image of planet Earth taken from space on October 24, 1946. On that date, a group of soldiers and scientists in the New Mexico desert launch V-2 rocket - equipped with 35 millimeter film cameras - to suborbital altitude of 105 kilometers ( 65 mi). The camera was destroyed after falling back to Earth, but the film survived. 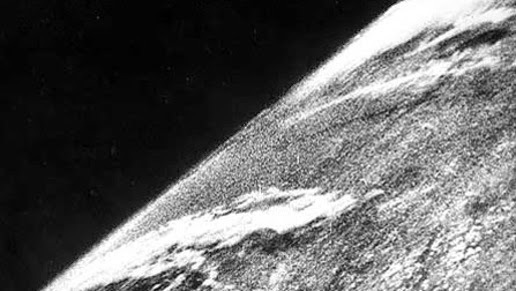 The first photograph of Earth from space, taken on October 24, 1946. Scientists quickly got a better picture when taking a picture of the earth. Here's one of the photos taken around six months later. 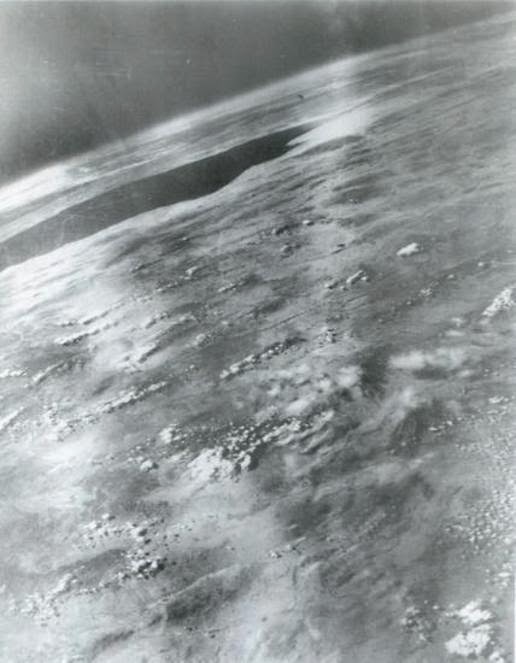 Picture taken from V-2 # 21, which was launched on March 7, 1947. This picture was also taken from an altitude of 101 miles. Dark area in the upper left is the Gulf of California.